So, you’ve started working out and you are keen to find out what you should be doing with your diet and nutrition. You already understand that diet and nutrition is a very important part of bodybuilding and you know how important it is to eat right and at the right time. You may also know that muscle growth happens when your body gets protein and then you hear people going on about the benefits of whey protein. What is whey protein then? If you’re going to gym you may see people at the end of their workout immediately drinking a whey protein shake. So it must be the thing to do right? But what actually is whey protein? Why should you be using it? It’s important to understand these things before you decide to start consuming whey protein. This article will outline the benefits of whey protein and act as a guide to the whey protein supplements out there. With this information you can select the correct whey protein supplement for you. What is whey protein and how is it produced? Casein makes up around 80% of the total protein content in milk, and the remaining 20% is made 8p of whey. Whey protein is synthesized as a byproduct of cheese production. This process is a rigorous one and it takes many levels of additional filtration to obtain pure whey protein. As casein makes up 80% of the total protein content in milk, it is pretty important to give it some consideration. Casein is a slow digesting protein that gets absorbed by the body in 6 to 8 hours. Casein is commonly referred to as the ‘bedtime protein’. Consuming casein just before you go to bed gives the body fuel to feed muscles over an extended period of time. This makes it the perfect protein source when you’re sleeping, and won’t be eating until you wake up. This is a long time for your body to go without protein, but casein can aid the muscle recovery process as you sleep. Whey Protein Concentrate is one of the early forms obtained in the whey production process. It is cheaper than other variants. This form of whey protein contains a small amount of carbs, usually in the form of lactose. Whey Protein Isolate is a further purified form of whey protein concentrate, meaning it is more readily absorbed by the body. 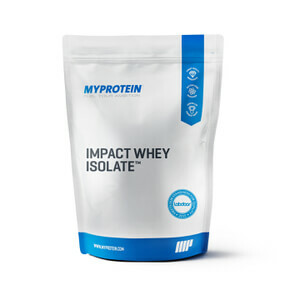 Whey protein isolate has a very high protein content per serving, amounting to around 90% per serving. It is slightly more expensive than whey protein concentrate, but does have its additional benefits. It is ideal for those who are on a ketogenic diet because of its low calorie and minimal carbohydrate content. Hydrolyzed Whey Protein is an even more refined form of whey protein isolate. The protein is denatured and subjected to heat, but its nutrients remain intact. It can be taken by people who are lactose intolerant. So what Whey for you? After reading about some of the types of whey protein, you may still be confused about what whey you should buy to aid your training. So let’s address that decision. ✓ Whey Protein Concentrate is the most common type of whey sold, and if you’re on a budget it is the most economical, meaning you’ll get the most bang for your buck. If you are NOT lactose intolerant and NOT on a ketogenic diet, then this type of whey is ideal for you. You can make whey protein concentrate your supplement of choice if you take part in training and exercise. The higher carbohydrate content makes this whey protein perfect for anyone involved in high intensity training. 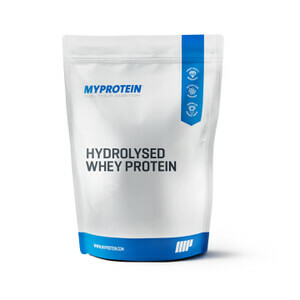 ✓ Hydrolyzed Whey Protein is the one for you if you’re lactose intolerant and looking to keep carbohydrate intake down. Similarly to Whey Protein Isolate, consuming this whey protein will help to put on lean muscle alongside regular training. Whey protein is not the only the source of protein. Nowadays companies have come up with more economical and cheaper versions of protein that are available in powder form. Blended protein is one such product that contains whey protein, egg protein and some contain casein. Protein blends have all the amino profile and are good for muscle growth due to a combination of slow releasing and fast releasing protein. It should be taken when there is a long gap between your meals, just after workouts or can serve as a replacement for Casein at bedtime. Whey protein comes in a variety flavors. Flavors add taste to the protein, making it easy to drink and giving you the option to try various flavors until you find your favorite. Even if you try one flavor and it’s not to your taste, you can switch to another one when you make your next purchase. It is worth noting that unflavored whey protein provides the maximum protein content per serving, as adding flavor slightly reduces the protein content. You can give unflavored whey protein a try, but if its not to your taste get a flavor you enjoy! You can find a great range of flavors here! Whey protein is a versatile product, meaning you should make it a staple source of protein content in your diet. You can do far more with it than just have it in your shake. You can mix it with oats, with yogurt or use it to bake with. If you have a smoothie maker then you can add it to fruit to make a high protein drink. You can do lots of things with whey protein to make it interesting and meet your daily protein intake targets. Whey protein is a fast acting protein, ideal to include in your training program in the form of a post workout shake. If you start consuming whey protein and you experience any irregular bowl movements, itching on the body, upset stomach or inflammations on the skin, it could be due to the type of protein your taking and the quantity. Do not exceed the recommended daily dosage of whey protein and if you’re having a reaction change your whey protein type and see if that stops it. You could be lactose intolerant without even knowing. Also remember that consuming whey protein will not ‘give you muscle’. It must be consumed alongside a regular training to really maximize the results of consuming whey protein. Keep training, keep working hard and strive to achieve your goals! Check out our supplement guide here!